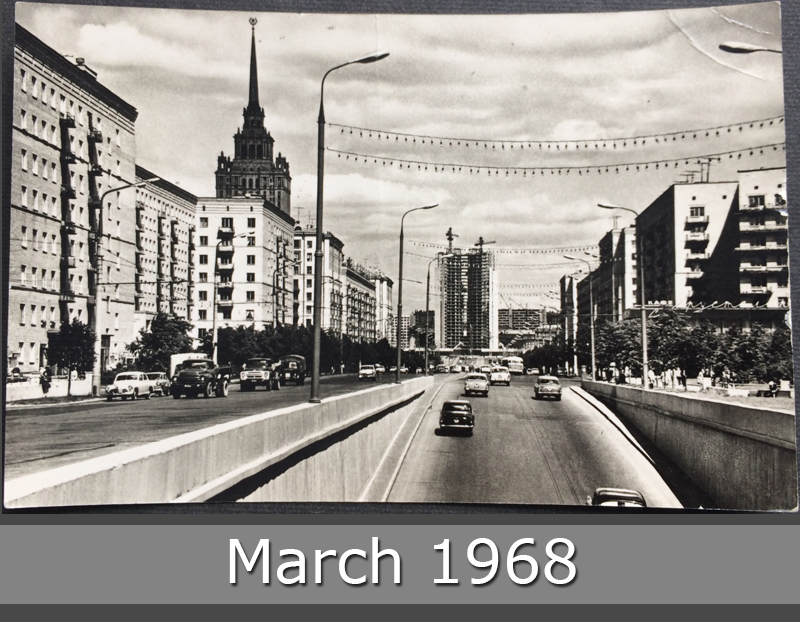 On this russian postcard you can see the Kutuzovsky Prospekt in Moscow in year 1968. Kutuzovsky Prospekt is a major radial avenue in Moscow, Russia, named after Mikhail Illarionovich Kutuzov, leader of Russian field army during the French invasion of Russia. The prospekt continues a westward path of Vozdvizhenka Street and New Arbat Street from Novoarbatsky Bridge over Moskva River to the junction with Rublyovskoye Shosse. 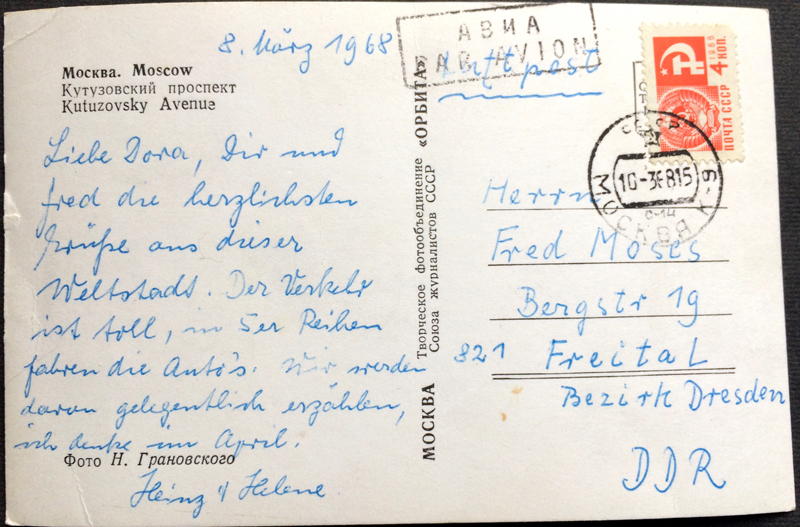 This postcard goes to Freital in East-Germany.